Lately we’ve played hide and seek a lot. Patrick runs over and exclaims, “I hide, you count!” He’s very good about taking turns hiding and counting. 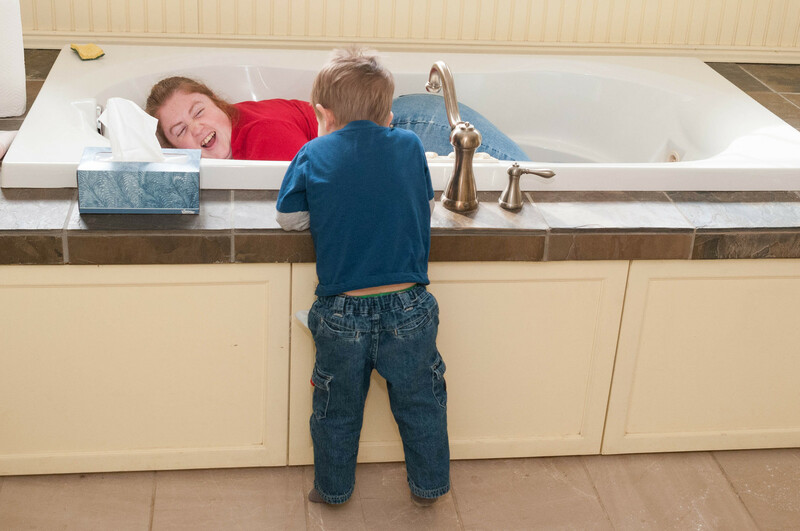 Hide and seek is less fun for adults, however, as there are so few good spots to hide!